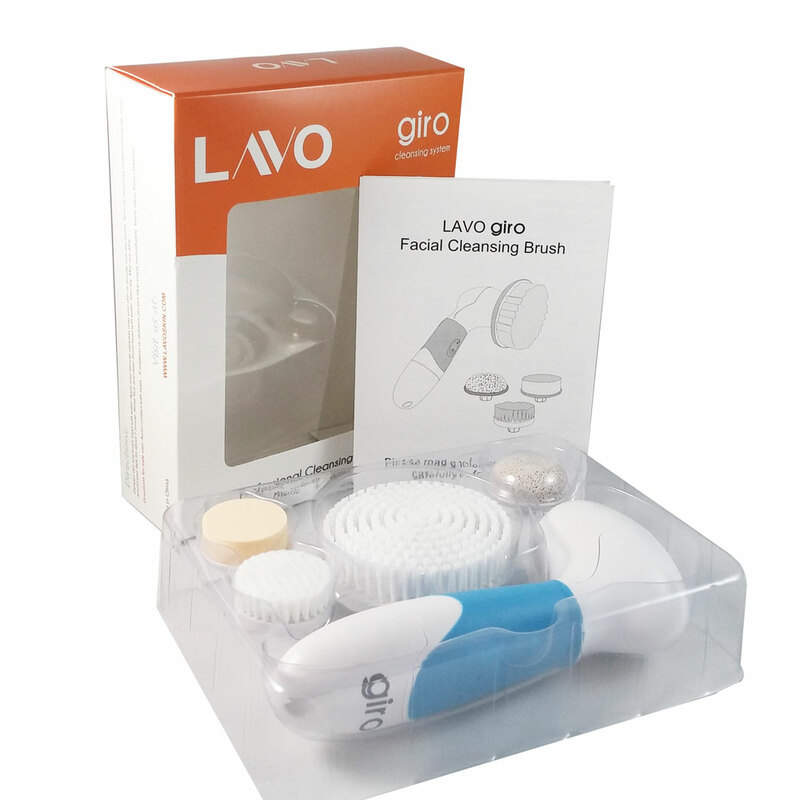 I just got this great Lavo giro facial cleansing system and I love it. It is literally like having a spa in your own home! The set includes the cleansing brush and four attachments. You get a large brush, a small brush, a buffer, and pumice attachment. I use this thing all the time! I use the brushes for my face, it really helps get a nice even deep clean all over my face. I also use the pumice attachment on my feet all the time, I love the way it helps to get rid of callouses on my feet. With all the different uses there is no need to even go to the salon or spa anymore! So much cheaper and easier! I love that it’s cordless as well so you don’t get the cord all wrapped around your hand or tangled up when you are trying to use it. I have noticed a huge difference in my fine lines and wrinkles after using it. It does require 4 AA batteries that are not included. With cleansing systems getting ever so popular we’ve decided to get in the game ourselves. It has been proven that using a cleansing brush can be 600% more effective than just cleansing with hands alone. The tiny fibers on the brush head gently dig into the pores cleaning out dirt, dead skin, and bacteria. This helps prevent acne, grinds away blackheads, and gives you awesome exfoliated skin. You can purchase this cleanser on Amazon!